Who doesn't love cookies? 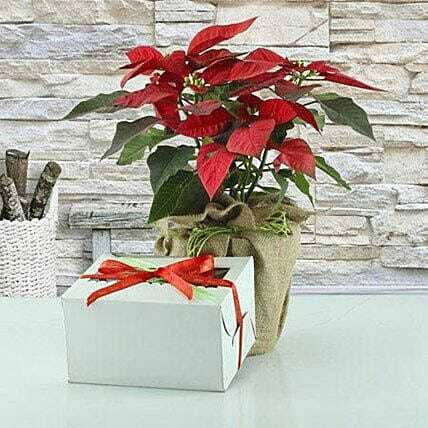 Gift your sweatheart this terrific arrangement of tasty and crunchy cookies with red Poinsettia plant. It will just set the Christmas Day for you. Order from ferns N Petals.